It’s finally here, the 18 Grams Loyalty Program. Sign up and become a certified Lab Technician to earn “1 Gram” for every dollar spent. You can redeem your saved grams for free coffee and food items. 2) Start earning Grams for qualifying purchases. 3) Earn enough Grams to unlock free rewards from us! 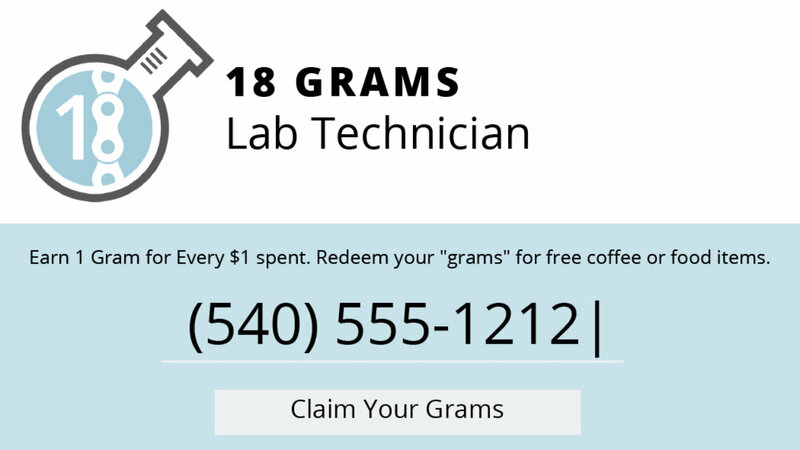 As an 18 Grams Certified “Lab Technician” your purchases add up to free coffee & food items.